Brianna Riedmueller is a sophomore at Warren Hills Regional High School and this is her first year writing for The Streak. Brianna is interested mostly in factual writing, not creative writing, but she hopes to excel and learn more about both. 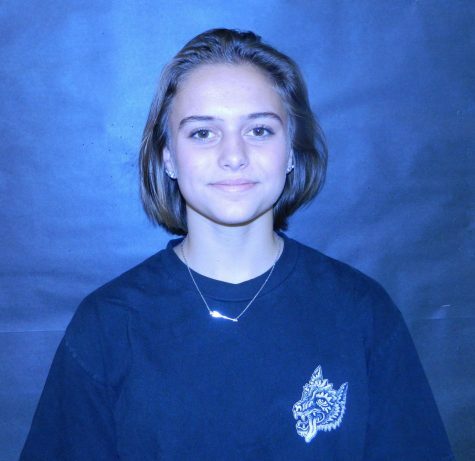 Outside of school, Brianna is a competitive gymnast and competes state-wide. She also works as a gymnastics coach for kids ages 5-13 at Gymnastics Unlimited in New Jersey. Brianna likes cooking and watching old horror films. Brianna has two sisters, one brother, a step sister, and a step brother. Brianna loves spending some of her spare time helping her little sister, Makayla, with her reading and writing. She also enjoys helping her other sister, Madi, practice gymnastics. Although her brother is usually mean, she sometimes likes spending time with him. She has three hedgehogs and a dog at her mom’s house and four cats at her dad’s house. She loves hanging out with her friends and playing with her pets. She is interested in pursuing a career in Forensic Pathology, so she is very focused on school and getting her grades up. Brianna wants to take a year off of school after her senior year to travel before going to college. Brianna looks forward to moving away and going to college and having adventures.